Thanksgiving dining at Parrot Key Caribbean Grill includes traditional Thanksgiving items and Caribbean-inspired dishes. Being on vacation means not having to cook (or clean up after!) Thanksgiving Dinner. Make your restaurant reservation now, so you can enjoy the sun, surf and sand while building up an appetite for the big meal. Charley’s Boat House Grill will be open from 3 to 8 p.m. and serve its regular menu along with a traditional Thanksgiving meal for $21 for adults or $16 for kids. Chloe’s signature holiday buffet will include broiled salmon with peanut sauce and volcanao glaze, chicken marsala, carving stations with roast turkey with gravy and roast top round with au jus, garrlic mashed potatoes, classic green bean casserole, candied sweet potatoes, pecan stuffing, steamed vegetable medley, lobster bisque, mixed green salad with assorted toppings, peel and eat shrimp, Caesar salad, Florida fruit display, cranberry sauce, freshly baked breads and whipped butter, and a selection of holiday desserts. Served from 12:30 to 6:30 and features a knee-high kids buffet. Adults $35.95, children ages 4-10 $12.95, children 3 and younger free. Island View Restaurant from 11:00 a.m. to 7:30 p.m. offers a complete Thanksgiving dinner featuring Cambridge Bronze turkey and baked ham with honey glaze, slow-roasted Amish pan gravy, homemade sage stuffing, cranberries-and-pecan-crusted sweet potatoes, mashed potatoes, peel-and-eat shrimp, salads, soup, fruit, pumpkin cheesecake, New York-style cheesecake, and mini cannolis. Cost is $24.95 for adults, $10.95 for children under 12. Walk-ins welcome based on availability. Top off your Thanksgiving dining with pie. 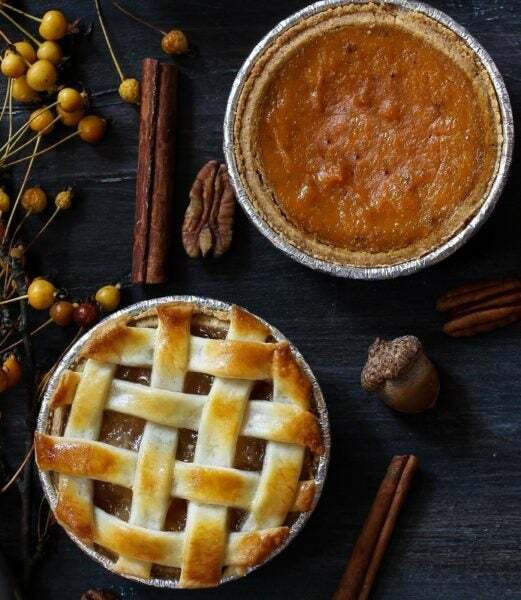 Nervous Nellie’s will present a traditional Thanksgiving dinner from 11 a.m. to 10 p.m. featuring turkey, sausage dressing, candied yams, mashed potatoes, green bean casserole, cranberries, breads and pumpkin-praline pie for $19.99. You can also select smoked ham, prime rib and seafood dishes. Parrot Key Caribbean Grill will be open from 11 a.m. to 8 p.m. and serve traditional Thanksgiving dinners along with Caribbean-inspired dishes. Pinchers Beach Bar and Grill, behind the Wyndham Garden Hotel, will open its Tiki Bar on Thanksgiving. The regular menu will be available from 11 a.m. to 10 p.m. and the Thanksgiving buffet from noon to 7 p.m.
Angelina’s Ristorante will have a four-course prix fixe menu from 2 to 6 p.m. for $65. Entree choices include traditional turkey, veal marsala, black grouper, pork osso bucco and filet of beef. Hyatt Regency Coconut Point puts out a seven-station buffet featuring traditional Thanksgiving favorites. Adults $79, children 5-12 $38, children 4 and younger free. 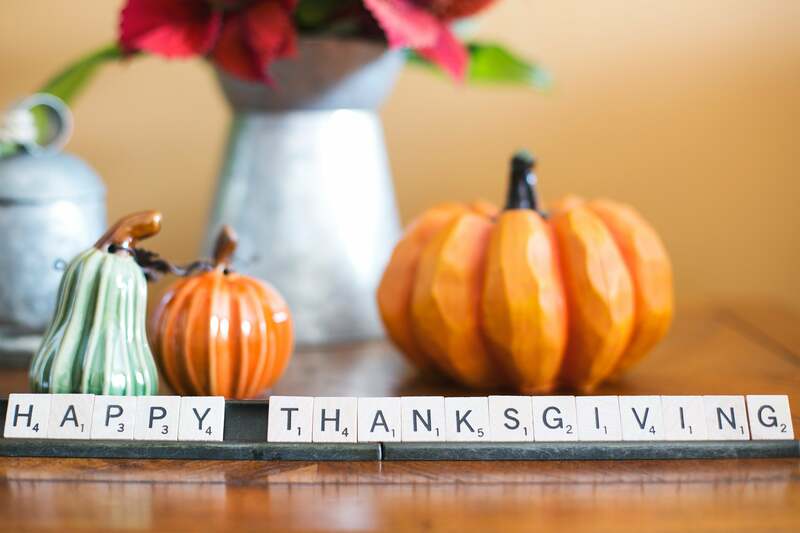 Roy’s offers a Thanksgiving Dinner menu ($39.95) or Classic Prix Fixe Menu (starting at $49). 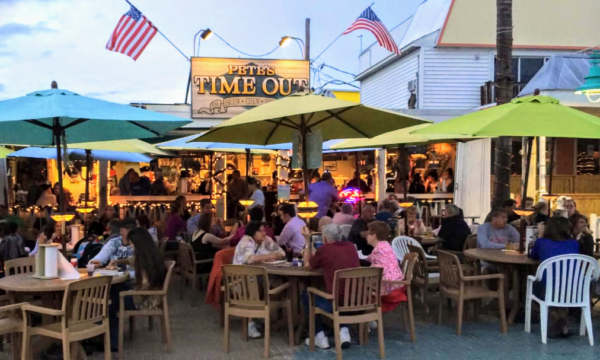 Enjoy Thanksgiving dining al fresco at Pete’s Time Out. Adventures in Paradise is offering a narrated Thanksgiving Sunset Dolphin & Wildlife Cruise from 4:30 to 6 p.m. with complimentary pie, soft drinks & bottled water. Listen to tropical music and sightsee along the coastline. Cost is $29. Judith, Ron and everyone at Sun Palace Vacation Homes thanks you for your business and wishes you a Happy Thanksgiving. 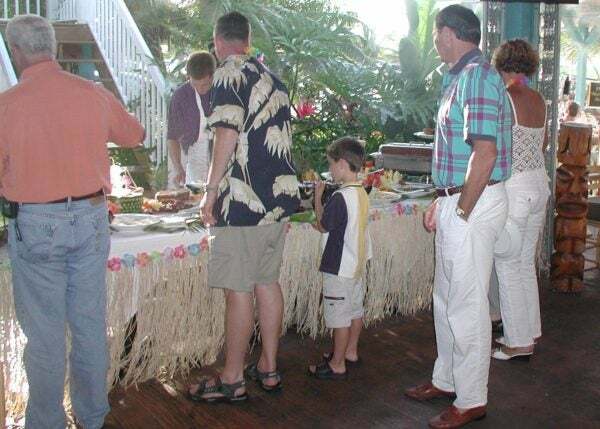 We offer the finest family Vacation Homes on Fort Myers Beach. Each house is equipped with Wi-Fi, Beach Towels, a charcoal or gas grill, Cable or Satellite TV, Local Phone Service, stereo (most have iPod jack), well equipped kitchen and hotel grade bed and bath linens that are professionally laundered and sanitized for your comfort.